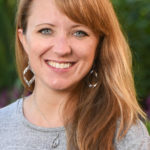 Wayfinding TravelingMom Jennifer Kaufman is fortunate enough to live less than three miles from the Great Wolf Lodge in Cincinnati. It has become one of her family’s favorite destinations for a long weekend or staycation. They have accumulated many valuable experiences along the way, having spent several nights there at different times of year. Find out what to expect at Great Wolf Lodge, and how to know whether it’s worth it for your family. When my twins were just a few years old, we had a friend who worked at the local Great Wolf Lodge in Mason, Ohio, just north of Cincinnati. I caught wind of several seasonal activities that could be experienced without staying overnight, so we decided to visit. We watched it snow in the lobby and saw an adorable audio-animatronic show, and thus began our love affair with the beautifully-themed waterpark hotel. We loved it long before we ever set foot in the famed indoor waterpark, and have enjoyed it even more every time we’ve visited since. With so many attractions and activities, it’s a new experience every time. Over the years, we have become the go-to family when friends have questions about their stay. If you’re considering a trip to Great Wolf Lodge, here are the answers to some things you might be wondering… and some useful advice you might not even know you need. CAN I VISIT GREAT WOLF LODGE WITHOUT STAYING OVERNIGHT? This is a great question, and one of the first we asked when we noticed we live close to one. The short answer is yes, you can visit. The answer to the question most people are actually asking is no, you cannot utilize the water park without reservations. 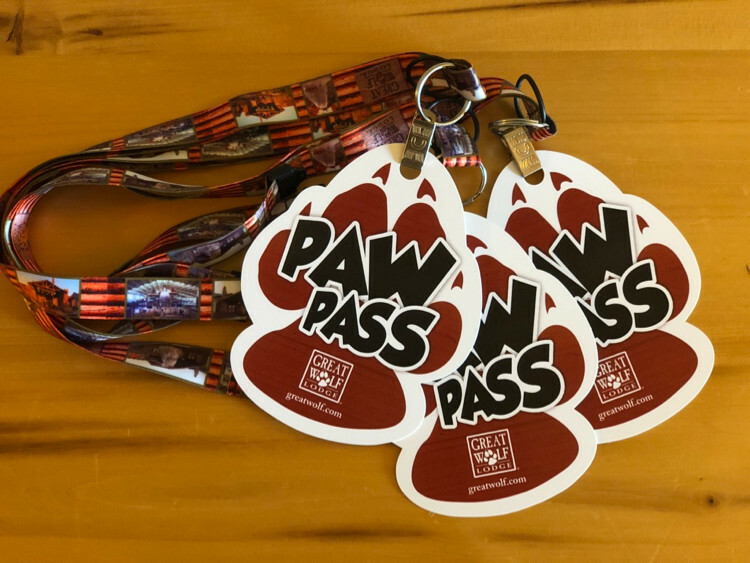 Great Wolf Lodge does not sell day passes, nor do they allow anyone to join overnight guests in the waterpark without approval and an additional fee; everyone staying in a room will get a wristband to wear during your length of stay, ensuring that only paid guests are in the waterpark. IS IT SUPER CROWDED IN THE SUMMER / DURING THE HOLIDAYS / ON THE WEEKENDS / ETC? The aforementioned policy limiting the use of the waterpark to overnight guests is specifically designed to prevent overcrowding and long lines. In our experience, I have to say it works. We have been in many different months of the year, including both off-peak times and on busy holiday weekends. I’ve never once felt like the public areas or pools were too crowded, or the lines too long. IS THERE SOMETHING FOR MY LITTLEST CHILD TO DO? MY TEENAGERS? GRANDMA AND GRANDPA? FOR MEDIOCRE SWIMMERS? FOR THOSE OF US WHO AREN’T THRILL SEEKERS? Within the hotel, you’ll also find a ton of activities for the whole family. Some require an additional fee, but there are at least half a dozen things going on during any stay that are complimentary, including crafts, story time, educational “wolf walks”, etc. Find out all you can do in our Ultimate Guide to Great Wolf Lodge! DO I NEED TO BUDGET A TON OF EXTRA MONEY IN ADDITION TO OUR HOTEL ROOM? Admission to the waterpark is included with your hotel room; you can enter the waterpark at 1pm on the first day of your reservation (though your room will likely not be ready until check-in time, depending on occupancy), and you can stay and play until everything closes on your last day. As mentioned, there are also crafts and other activities – including super fun holiday or seasonal offerings – included with your stay. There are, however, plenty of things that could take more of your money. Each Great Wolf Lodge location has a number of on-property restaurants. Many (including our Northern Cincinnati location) have miniature bowling, glow-in-the-dark mini golf, an arcade, and a number of interactive games that take place throughout the whole property. That said, we almost never do any of the additional activities during our short stays (usually only 1 or 2 nights), and I’m not sure we’d have much time if we wanted to! Having experienced many of them at least once though, I will say that the attractions offered are a lot of fun – and quite reasonably priced if something is appealing. My advice is to look at your Great Wolf Lodge location’s website and make an overall plan in advance; decide where you’d like to spend (or save) your money – before you step into the hotel. Stay tuned for more money saving tips! 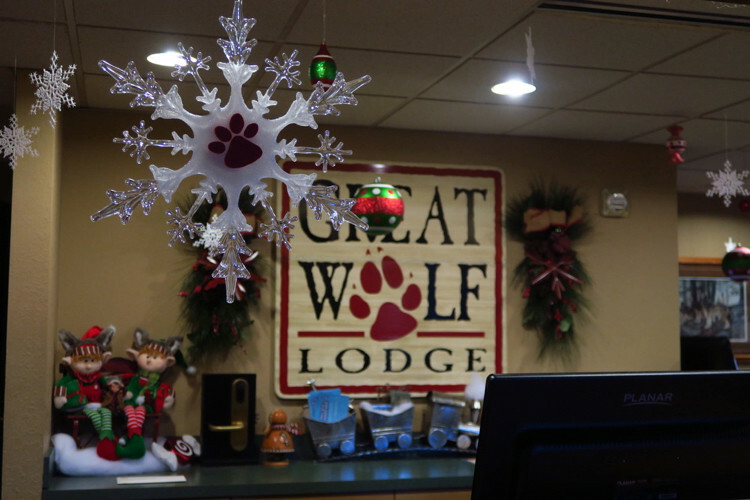 Personally, we’re partial to visiting Great Wolf Lodge during the holidays; our favorite time to visit is between Thanksgiving and Christmas. I’m a sucker for the Christmas season anyway, and Great Wolf Lodges transform already beautiful hotels into stunning winter wonderlands. During their “Snowland” season, there are also additional lobby activities. You’ll even see it snow in the grand lobby several times each day! Near Halloween and Easter, many Great Wolf Lodge locations have extra activities including a Peeps hunt and a trick-or-treat trail. For New Years Eve, our location offers a beautiful (and delicious!) dinner buffet and family-friendly celebration. Be sure to check out any additional celebrations that might be going on when you’re booking your visit. If you aren’t visiting during a holiday, you’ll still have a blast. In the warmer months, you’ll have access to additional slides, pools, and attractions outside as well. Honestly, there isn’t a bad time to visit! 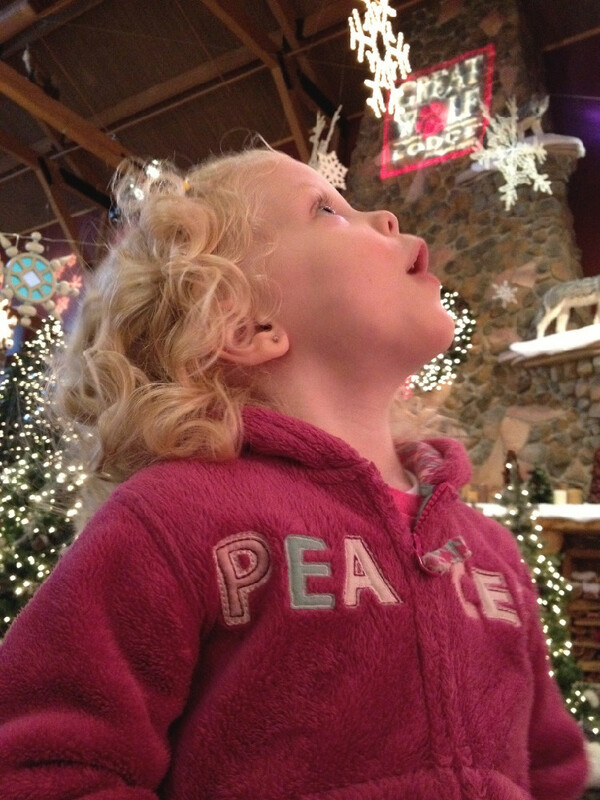 TravelingMom Tip: Sign up for the Great Wolf Lodge email newsletter to hear about all of their special rates. Several times each year, they offer a 48-hour sale; these have been the best rates we’ve found year after year, even at peak times such as Memorial Day weekend. DO I NEED TO BRING BEACH TOWELS? ARE WE ALLOWED TO BRING POOL TOYS? COOLERS? Great Wolf Lodge provides towels in the waterpark area, but ask that they be returned before exiting the waterpark. So while you’re covered (no pun intended!) inside the pool areas, you may want to bring towels and/or coverups for the walk to and from your room, in dining locations, and for other public spaces. Pool toys and inflatable toys are not permitted inside the waterparks. And while coolers are allowed in the resort, they are not permitted inside the waterpark area. Each room has a mini-fridge, so a cooler may not be entirely necessary. ARE MY KIDS SAFE IN A BIG, POTENTIALLY OVERWHELMING INDOOR WATERPARK? Everyone under 18 should be supervised at all times in the waterpark and during other hotel activities. That said, it’s totally understandable that you can’t be by each child’s side at all times. In our experience, there are more lifeguards at Great Wolf Lodge pools and slides than we’ve seen anywhere similar. The lifeguards are very friendly and helpful, too. 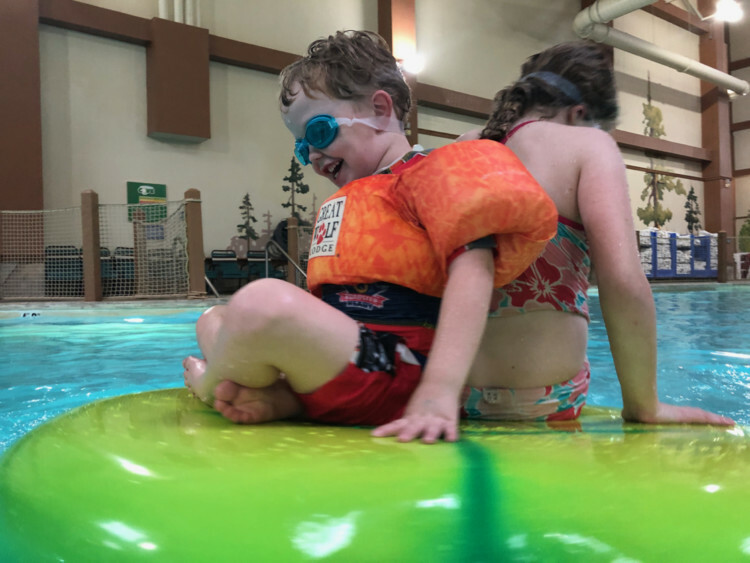 I’m very comfortable with my kids swimming and playing throughout the waterpark, but I do make a plan to be where I can see just about everywhere; we also make very specific meeting plans for kids to check in between activities. 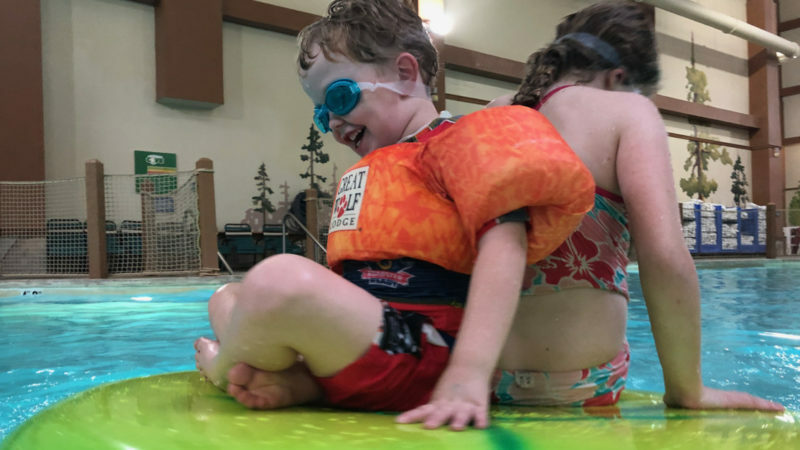 TravelingMom Tip: Guests can bring their own life jackets for younger kids, but there are also life jackets and puddle jumpers available on a first-come, first-serve basis. We have never had any trouble getting an appropriate jacket for my kids at any point, but keep that in mind if you know you’ll absolutely need something specific. Since they’re so unique, it can be hard knowing what to expect at Great Wolf Lodge hotels. It can be even harder to decide if Great Wolf is worth it for your family, whether as part of a staycation or part of a larger trip. Hopefully some of these answers to frequently asked questions help you get on your way to planning a super fun visit for your family. We’ve made so many wonderful memories at our local Great Wolf, and love helping others do the same. Enjoy your visit! Need a Reason to Visit Santa Fe with Kids? Meow Wolf Is it! Previous Post: « New Orleans Mardi Gras – Not Just for Adults! It’s so much fun, isn’t it?! I think we learn something new each time we visit. Have fun on your next stay! Thanks for stopping by! I think we learn something new each time we visit! I’ll soon be able to join the insider/go often group with my grandchildren because Georgia is getting a Great Wolf Lodge in a favorite town of mine: LaGrange. The GWL in Niagara Falls does sell day passes for the waterpark. Perhaps some other locations do not. Oh, interesting! I’ll have to follow up with them. The last I had heard, they would (all, I thought…?) only sell day passes to guest staying (ie, if grandma wants to join you for the day). Thanks for letting us know!